1. Prior TW, Finanger E. Spinal Muscular Atrophy. In: Adam MP, Ardinger HH, Pagon RA, et al., eds. GeneReviews((R)). Seattle (WA): University of Washington, Seattle University of Washington, Seattle. GeneReviews is a registered trademark of the University of Washington, Seattle. All rights reserved. ; 1993. 2. Jovien S, Borie R, Doummar D, Clement A, Nathan N. Respiratory Distress, Congenital Hypothyroidism and Hypotonia in a Newborn. Respiration; international review of thoracic diseases. 2016;92(3):188-191. 3. Peeters K, Chamova T, Jordanova A. Clinical and genetic diversity of SMN1-negative proximal spinal muscular atrophies. Brain. 2014;137(Pt 11):2879-2896. 4. Rudnik-Schoneborn S, Stolz P, Varon R, et al. Long-term observations of patients with infantile spinal muscular atrophy with respiratory distress type 1 (SMARD1). Neuropediatrics. 2004;35(3):174-182. 5. Johnston HM. The floppy weak infant revisited. Brain Dev. 2003;25(3):155-158. 6. Cizmecioglu FM, Jones JH, Paterson WF, et al. 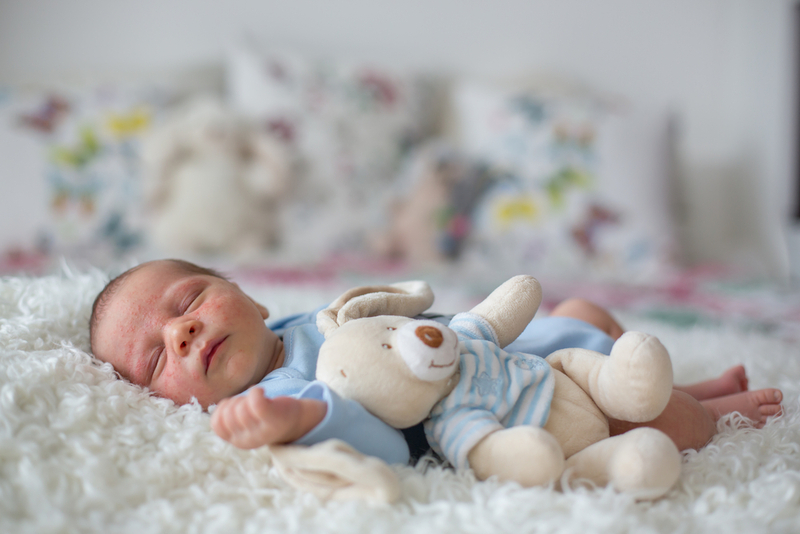 Neonatal Features of the Prader-Willi Syndrome; The Case for Making the Diagnosis During the First Week of Life. Journal of clinical research in pediatric endocrinology. 2018;10(3):264-273. 7. Lee PR, Raymond GV. Child neurology: Zellweger syndrome. Neurology. 2013;80(20):e207-210. 8. Lott IT. Neurological phenotypes for Down syndrome across the life span. Progress in brain research. 2012;197:101-121. 9. Zapata-Aldana E, Ceballos-Saenz D, Hicks R, Campbell C. Prenatal, Neonatal, and Early Childhood Features in Congenital Myotonic Dystrophy. J Neuromuscul Dis. 2018. 10. Owens P, Wong M, Bhattacharya K, Ellaway C. Infantile-onset Pompe disease: A case series highlighting early clinical features, spectrum of disease severity and treatment response. J Paediatr Child Health. 2018. 11. Sparks SE. Neonatal hypotonia. Clinics in perinatology. 2015;42(2):363-371, ix. 12. Dietz V, Andrus J, Olive JM, Cochi S, de Quadros C. Epidemiology and clinical characteristics of acute flaccid paralysis associated with non-polio enterovirus isolation: the experience in the Americas. Bulletin of the World Health Organization. 1995;73(5):597-603. 13. Greenberg MB, Penn AA, Thomas LJ, El-Sayed YY, Caughey AB, Lyell DJ. Neonatal medical admission in a term and late-preterm cohort exposed to magnesium sulfate. American journal of obstetrics and gynecology. 2011;204(6):515.e511-517. 14. Wong V, Chen WX, Wong KY. Short- and long-term outcome of severe neonatal nonhemolytic hyperbilirubinemia. J Child Neurol. 2006;21(4):309-315. 15. Yum SK, Moon CJ, Youn YA, Sung IK. Clinical characteristics predicting abnormal brain magnetic resonance image findings in hypoxic-ischemic encephalopathy infants. Minerva pediatrica. 2017. 16. Glass HC. Hypoxic-Ischemic Encephalopathy and Other Neonatal Encephalopathies. Continuum (Minneapolis, Minn). 2018;24(1, Child Neurology):57-71. 17. Goetz E. Neonatal spinal cord injury after an uncomplicated vaginal delivery. Pediatr Neurol. 2010;42(1):69-71.